You just have to take one look at the Amalfi Coast to understand why so many couples have fallen under its spell. 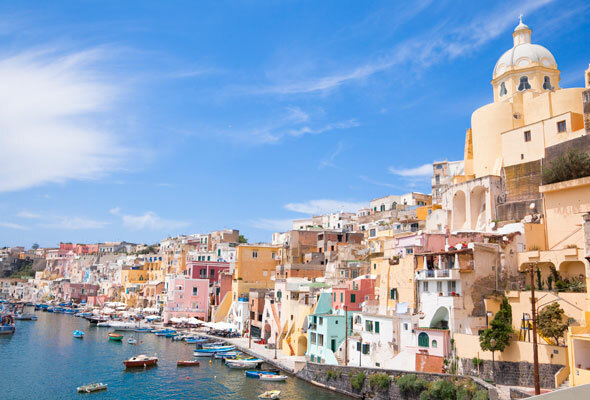 On a cruise holiday around the Mediterranean with MSC Cruises, you can take a sightseeing tour from the cruise port of Salerno (Italy) along the UNESCO World Heritage Site of the Amalfi Coast. Stop in Amalfi and explore the cathedral, combining Romanesque, baroque and gothic architecture and amble through the narrow streets. It’s not all peace and tranquility on this cruise though, Cannes and Ibiza add a bit of a buzz to the occasion. A seven-night Mediterranean cruise on MSC Cruises’ MSC Sinfonia calls at Genoa (Italy), Cannes (France), Ibiza (Balearic Islands), Mahon (Balearic Islands), Olbia (Sardinia) and Salerno (for the Amalfi Coast), departing regularly from 2 June 2014 and costs from £599pp cruise only. Go to msccruises.co.uk.